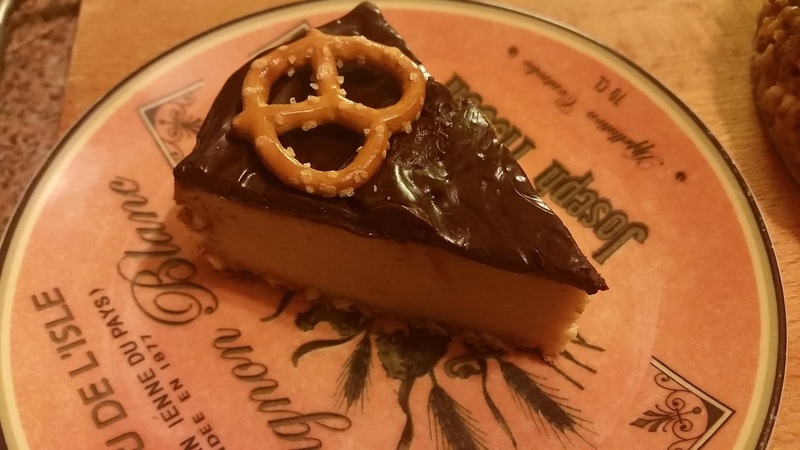 sweetcomfortkitchen: Peanut Butter. Chocolate. Pretzel. Cheesecake. In the Instant Pot. Peanut Butter. Chocolate. Pretzel. Cheesecake. In the Instant Pot. Oh my goodness. 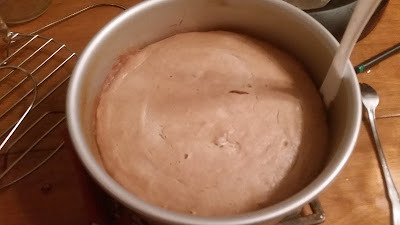 There's this great pressure cooking website I've been using a lot lately, pressurecookingtoday.com, and it has several tantalizing recipes for different cheesecakes. Somehow, the peanut butter cup one got stuck in my mind (who'da thunk it? ), but I'm more a fan of dark chocolate with peanut butter, so I already knew I wanted to change the topping a bit. 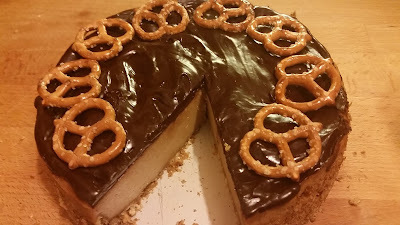 Then, when my search for chocolate wafer cookies for the crust without "creme" in the middle started to turn into a long one, the pretzel idea formed. Et Voila! Crush pretzel twists into tiny pieces in a plastic zip-top bag or in a food processor. 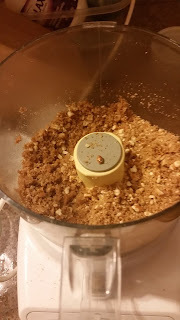 Add melted butter and brown sugar and mix well. 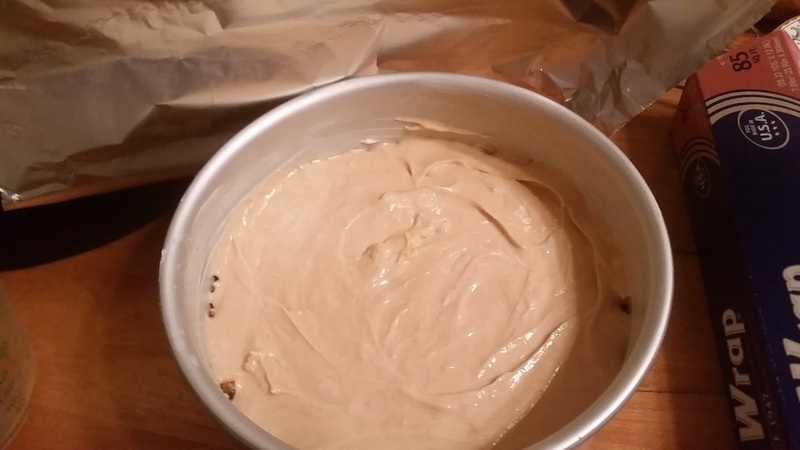 Butter a 7" cheesecake or springform pan and press pretzel mix into bottom and part way up the sides. 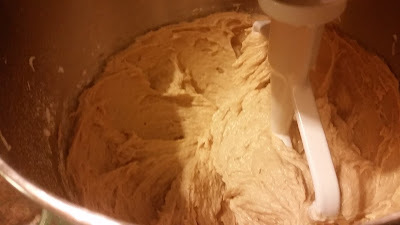 Put pan in fridge until batter is ready. Bring all ingredients to room temp before mixing, either by leaving on the counter for 1-2 hours or placing in a bowl of lukewarm water for 10 min. 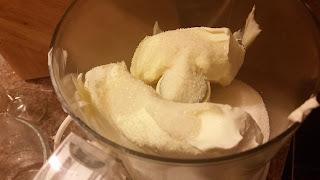 In a mixer or in a large bowl, blend cream cheese and sugar on medium until well mixed. Add peanut butter (natural is fine as long as it's well-mixed), sour cream and flour, mix well. I started with the food processor but it wasn't blending the ingredients very well, so I switched to the stand mixer. Pour the batter over the crust in the pan. Cover with foil. Place 2 cups water in the liner of the Instant Pot pressure cooker. Insert the trivet and place the pan on top of the trivet. If you're using a springform, make a foil sling to help pull out the pan when it's done. If you're using a Fat Daddio cheesecake pan, you can pull it out with the trivet handles. Put lid on pot and lock into place. Press "manual" and increase time to 50 minutes. When time is up, let the timer count up to ten minutes before releasing the pressure valve. If the middle is set, you're good! Run a knife around the edge of the pan to help the cheesecake loosen later. Let cool 1 hour at room temp before making the topping. 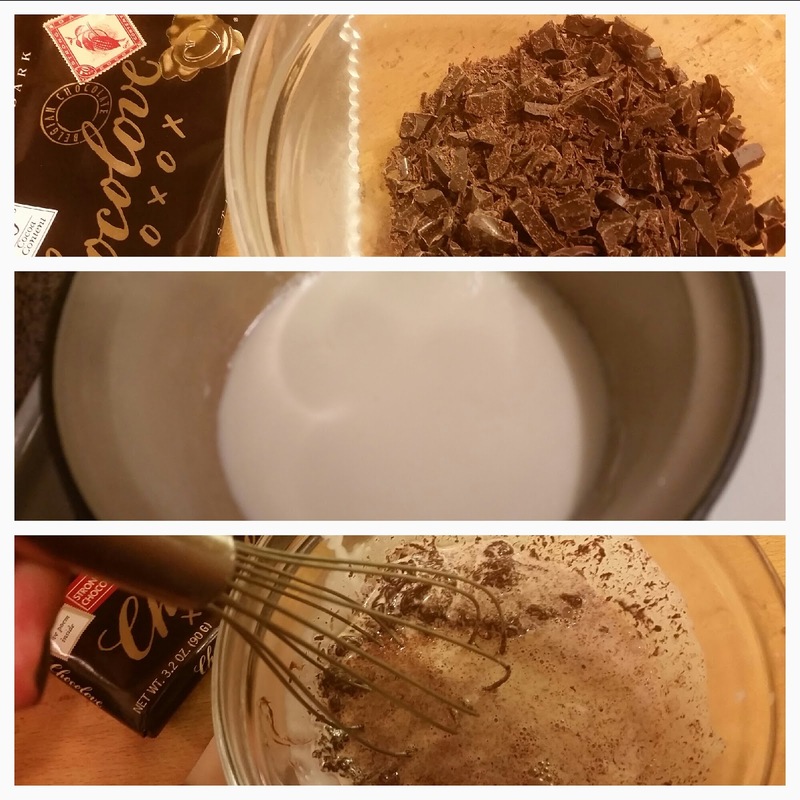 Use a serrated knife to finely chop the chocolate. Place it in a heatproof bowl. Bring the cream just to a boil (careful: this can happen very quickly with such a small amount!) and then pour it over the chocolate. Immediately start whisking together; whisk until smooth. Pour over cheesecake and put cake in refrigerator for at least one more hour, preferably two to six. Just before serving, decorate with more pretzels and sprinkle with a little flaky sea salt. Prepare to melt a little inside from the yumminess. I love the way you change up my cheesecake recipe. So glad you're enjoying my site. Thanks! Your website has been such a great resource!